All of the facts in this video and more are in The Bible Unearthed by Israel Finkelstein and Neil Silberman and if you read the book you will get more facts more efficiently (Finkelstein is interviewed on camera in the video). Nevertheless the video definitely adds. The CAD representations of the Temple Mount are the best I have seen. Also I have not before seen video of the Samaritans doing blood sacrifice by the ancient recipe and it makes for a whomping visual impact. The life is in the blood. Yeah we all learned that part a long time ago but a picture can be worth a thousand words. This is the classic study (see especially Figure 2), but you'll find several others in this thread. Apparently one of the indicators of the emergence of this new culture in the highlands was the lack of pork remains in the highlands, whereas there were a lot of pork remains in archaeological sites in other area: "Facing the “enemy” or “other” (i.e., the Philistines) who came from the southern coastal plain (and originally from the Aegean world), the highland settlers reinforced a “contrasting” identity that stressed components that were very different from those of the Philistines. Since the latter consumed pork,the Israelites made the avoidance of pork into a“flag” that was used to show how different they were." Then there's the Egytian stele, which Wikipedia describes thus: "The name Israel first appears in the stele of the Egyptian pharaoh Merneptah c. 1209 BCE, "Israel is laid waste and his seed is no more." This "Israel" was a cultural and probably political entity of the central highlands, well enough established to be perceived by the Egyptians as a possible challenge to their hegemony, but an ethnic group rather than an organised state." I agree with you that it is sometimes difficult to wade through the devotional (and mythicist!) to find proper historical materials! My absolute favorite beginner resource are these Yale Religious Studies courses, the Old Testament series in particular. The professor has done an amazing job of putting the Bible in its historical context. Grab a Bible and do the assigned readings as "homework" - she does let you skip the boring bits, I promise! My favorite text is this How to Read the Bible: A Guide to Scripture Then and Now , which compares how modern believers interpret the Bible compared to how it would have been received by its original audience. 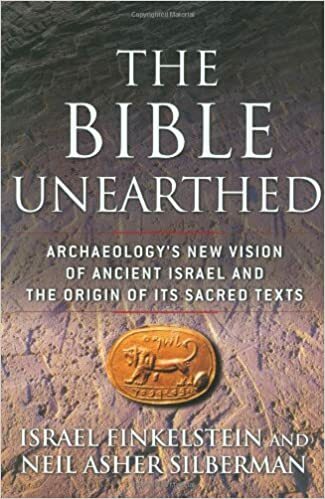 If you are particularly interested in archaeology, 'The Bible Unearthed' might be a good option, though I think it does presume a fair amount of familiarity with biblical history. Here's a list of more online resources, though they are not so much for the beginner. If there is a particular topic you are interested in, I can try to point you towards something more specific.